The Festivus pole, a relic from the 1990s NBC sitcom “Seinfeld,” made an appearance in the Florida Capitol on Tuesday, after a self-described “militant atheist” received permission to set it up near a Nativity scene. “A Pabst Blue Ribbon Festivus pole is a symbol of ridiculousness,” Chaz Stephens, editor in chief of South Florida advocacy blog MAOS (My Acts of Sedition), told The Christian Post on Tuesday. He set up the pole, not to celebrate a 1990s holiday, but to protest the Nativity scene and other religious monuments set up in public spaces. TUPELO, Miss. — Looking for the Christmas spirit this shopping season? It isn’t found at Radio Shack. They seem more like Ebenezer Scrooge, says the American Family Association, (AFA,www.afa.net) because Radio Shack has eliminated the words that portray the reason for the season and have degraded Christmas in their stores by making the celebration of Christ’s birth a generic, bland and unholy imposter of the true meaning of Christmas. For years, Radio Shack has refused to use the word Christmas on its website, in television commercials, newspaper ads and in-store promotions, despite tens of thousands of consumer requests to recognize Christmas and in spite of repeated requests from AFA to do the same. For proof, visit www.radioshack.com and type “Christmas” in the search bar. As of today, the website brings up zero results. Instead, at Radio Shack, consumers will find “holiday” deals, “holiday” kickoff, “holiday” cash and a “holiday” gift guide, but they won’t find “Christmas” anywhere. 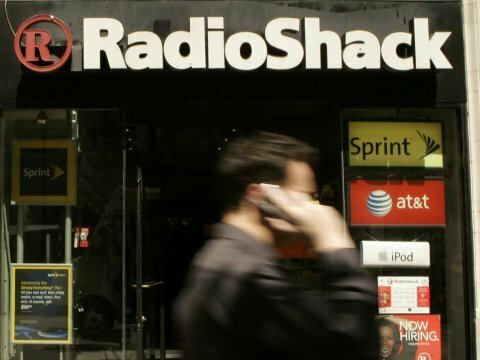 SIGN: Sign the Boycott Radio Shack Pledge. AFA will regularly update Radio Shack on how many people have signed the pledge. CALL: Follow up your signature with a phone call to the Radio Shack corporate office at (817) 415-3011, option 0. Let them know you are serious about taking your business elsewhere. POST: On Facebook, leave a comment on Radio Shack’s Facebook page for an immediate impact that will get their attention. CONTACT: Connect with the local Radio Shack in your area, and politely let the manager know that you won’t be shopping there this Christmas season. Ask the manager to pass your comments along to the corporate office. American Family Association recently released its 2013 list of Naughty or Nice retailers, letting shoppers know which are “For Christmas” and which are “Against Christmas.” AFA noted nearly 60 stores who either tell shoppers to have a “Merry Christmas,” use “Christmas” on a regular basis or recognize Christmas in some other way. The list also calls out 11 retailers that may use “Christmas” sparingly in a single or unique product description, but as a company, does not recognize it. The 2008 “Christmas on the Canal” event in Spencerport, N.Y. that was temporarily canceled when an atheist complained about Separation of Church and State violations. Since this initial cancellation, the event has been reinstated after local businesses and residents donated enough money to continue funding the event. 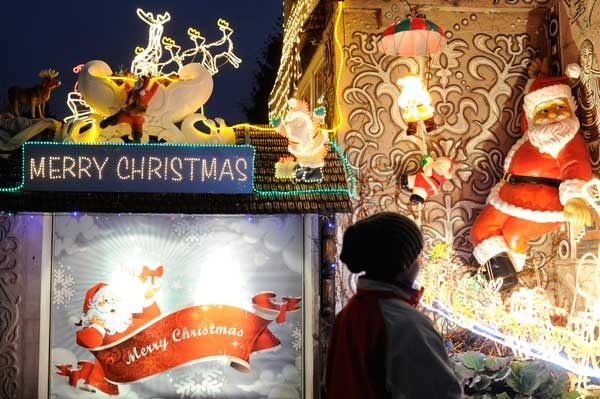 A small town in upstate New York has rallied together to continue funding its local community’s Christmas celebration, even though an atheist’s complaint forced the local government to stop supporting the event. The town of Spencerport, N.Y., a small village located just outside of Rochester, has been celebrating its annual “Christmas on the Canal” event for 17 years until this year, when Elaine Spaziano, the event’s founder and organizer, announced that the tradition had to be canceled after an atheist complained about First Amendment rights and the separation of church and state to the local government. A humanist organization is threatening lawsuits against two public schools for their participation in Operation Christmas Child, a project of evangelist Franklin Graham’s international Christian relief organization Samaritan’s Purse that seeks to deliver Christmas toys to needy children throughout the world. The American Humanist Association recently sent letters to two public elementary schools, one in South Carolina and one in Colorado, threatening legal action if they continue participating in Operation Christmas Child, which delivers thousands of shoe boxes stuffed with gifts to needy children throughout the world every year during the holidays. Along with containing small gifts, the shoe boxes also include a small note inviting recipients to join in Christianity. The American Humanist Organization argues that Operation Christmas Child’s commitment to “[sharing] the life-changing Good News of Jesus Christ” means that public schools in the U.S. should not participate in the program. In its letter sent to East Point Academy in West Columbia, S.C., the humanist association accuses the school of “promoting student participation” in the Operation Christmas Child program by encouraging students to assemble shoeboxes and donate money. According to the humanist organization, East Point Academy has been involved with Operation Christmas Child since 2011. The Freedom From Religion Foundation is gearing up for the so-called “War on Christmas” this year by promoting products to help nonbelievers celebrate the winter solstice. The Madison, Wis.-based organization said in a press release that winter solstice is “the real reason for the season.” FFRF is selling, among other things, 14 varieties of winter solstice greeting cards that say things like “Reason’s Greetings” and “Yes, Virginia . . . There Is No God” and more.